Blast from the past: one of the most iconic football boots ever created has made a triumphant return over 17 years later. 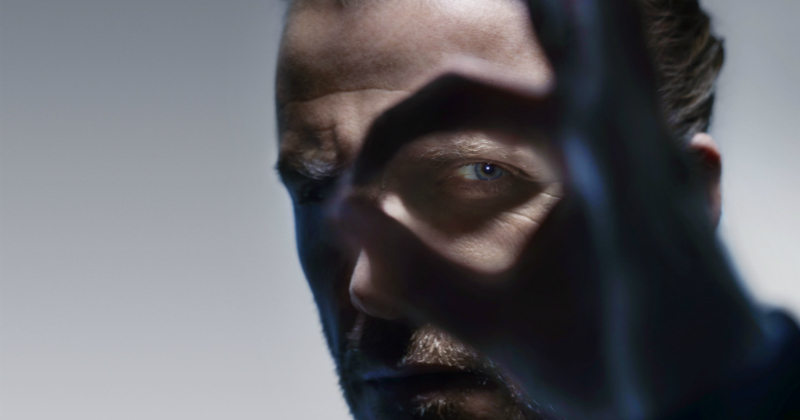 David Beckham. Zinedine Zidane. David Trezeguet. Three of the biggest names in football over the last 20 years, with a shed-load of titles under their belts and the kind of cult followings that only true greatness can get you. But what links them all together? 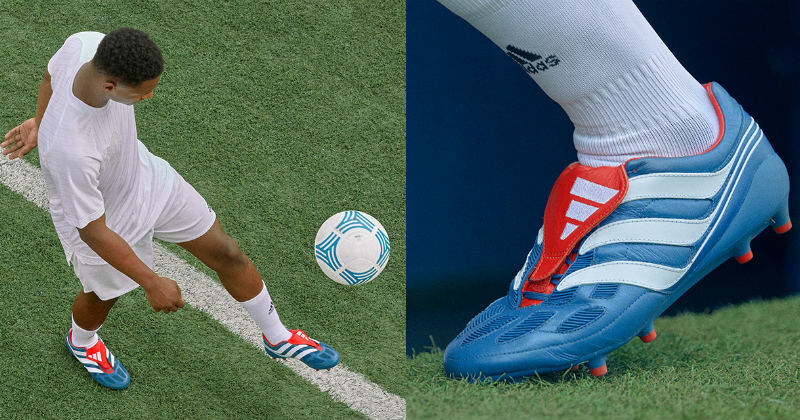 No, we aren’t sat here listing the players we want to see in the upcoming FIFA 18 FUT Icons (though that would be awesome), as we are of course referring to the fact that these three iconic footballers rose to stardom in their very own pair of adidas Predator Precisions. Beckham became a worldwide phenomenon due to the whip and bend he could put onto his freekicks, as well as the pinpoint crosses he’d pump into the box every week. Zidane, on the other hand, was one of the most adventurous and skilful footballers to ever play the game; while there haven’t been many better finishers than the lethal David Trezeguet. Well, they did all of this whilst wearing a pair of the original Predator Precision boots. 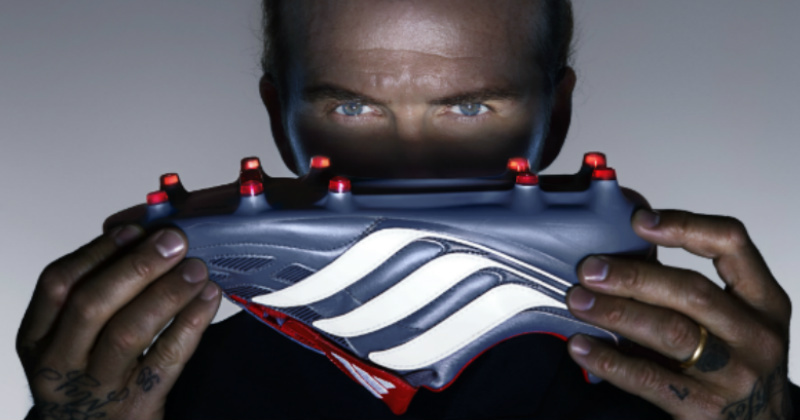 Released back in the year 2000- god, that makes us feel old- the first adidas Predator Precision design went on to become one of the most iconic in football boot history. With a classic style incorporating the famous three stripes, these Predators have certainly become something of a fan-favourite over the years. So, we’re all absolutely beside ourselves right now, because adidas have just unleashed a remake of those original classics. The new Predator Precision features exactly the same design and colours that appeared on the original 2000 model, so any fans or players searching for a sense of nostalgia certainly won’t be disappointed. With a premium K-leather upper and still featuring those three wavy stripes, it seems that the boys at adidas have done a bang-up job of sticking as closely to the original as possible. If you’re a Beckham fanboy just as much as we are, then we bet you just can’t wait to get your feet into a pair of these! So what’s actually different about this new version? The remake utilises a metallic blue, red and white colourway just as the original did, but the actual design of the boot is a little different. The new Predator Precision boots feature a foldover tongue with Velcro fastening that differs slightly in shape to the 2000 version, while the studs on the bottom of the boots have been completely revamped. With a brand new soleplate, the updated design is much lighter than the original- making them perfect for the modern game. However, the biggest difference is the Sprintframe outsole, which allows players to wear the iconic Predator Precision design while also taking advantage of the very latest in football boot technology. Understandably, these boots are proving to be hotter than the Sahara at mid-day, so you’ll have to be quick if you want to grab yourself a pair! So head on over to adidas.co.uk before they all sell out! Alternatively, have a look for some great deals on other awesome football boots right here with FOOTY.COM!